Do you want to eliminate these difficulties from your life? 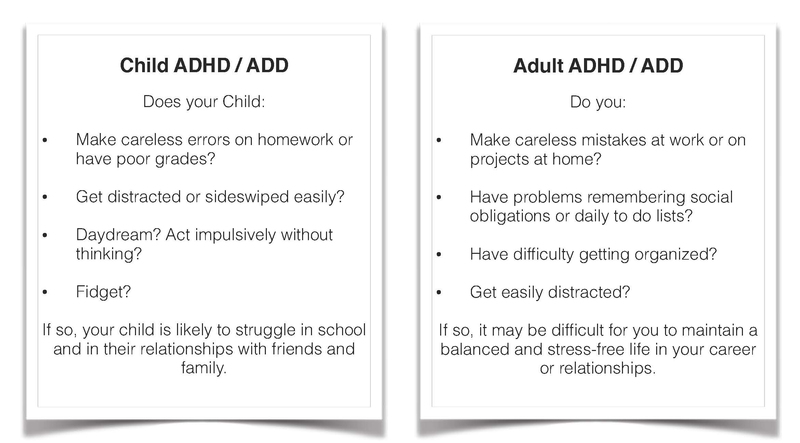 We can help – we are experts in ADHD/ADD. Contact us today for a free consultation to start the process of creating a new life for yourself and your family.